Ubisoft announced the official Watch Dogs 2 content roadmap for this year. Each month from April to June will deliver free content, concluding with “support for a 4-player party to explore the city and play activities together”. Meanwhile, this month Watch Dogs 2 will get a new PvP 2v2 team mode, Showdown; the drone, motocross, and eKart races are also getting multiplayer functionality complete with leaderboards. New, randomly appearing “loot truck” events challenge you to hack an armored car while fighting off its reinforcements, and smaller additions – including new clothing items and tweaks such as a quick-swap feature for weapons – are rolled into the free update as well. The paid DLC No Compromise will also launch on PlayStation 4, featuring a brand new DedSec Operation called Moscow Gambit, six new single-player time trials and two new nonlethal weapons: the Air Shotgun (which can also move cars and other objects) and the Taser Sniper Rifle. No Compromise also includes three new emergency services packs, with new vehicles and outfits that let Marcus dress up as a police officer, firefighter, or paramedic. Each outfit and vehicle adds a new ability that lets protagonist Marcus affect NPC behavior and do previously impossible things. In May, the free content update will include a new seamless PvE event, seamless PvP support for the Armored Truck feature, major improvements to the leaderboards interface and other fixes. […]even when you don’t know what is going on, the gameplay itself stands up and is so deeply enjoyable that you can play almost any mission and have lots of fun. This is an open world game that like Saints Row, has come out from under Grand Theft Auto’s shadow and exists on its own. 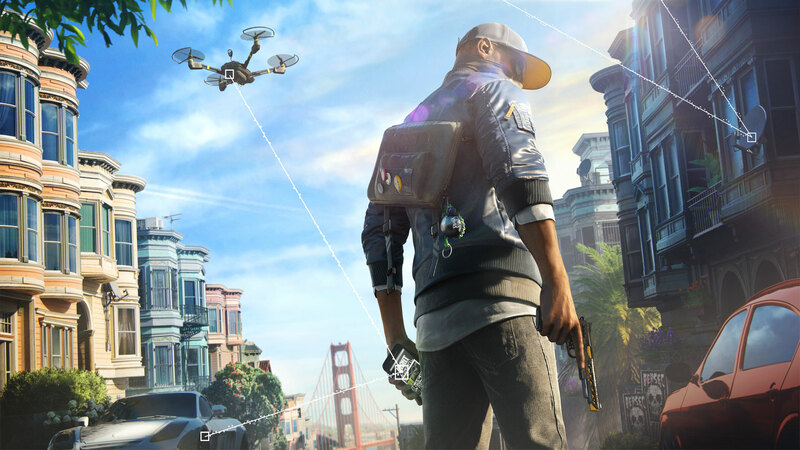 With amazing mechanics, inspired characters and some genuinely thought provoking missions, Watch_Dogs 2 should be on the Christmas list of any player that wants to fight back.